Bath & Body Works, LLC, is an American retail store under the L Brands (formerly Limited Brands) umbrella. It was founded in 1990 in New Albany, Ohio, and has since expanded across the United States and Canada. It specializes in shower gels, lotions, fragrance mists, perfumes, candles, and home fragrances. 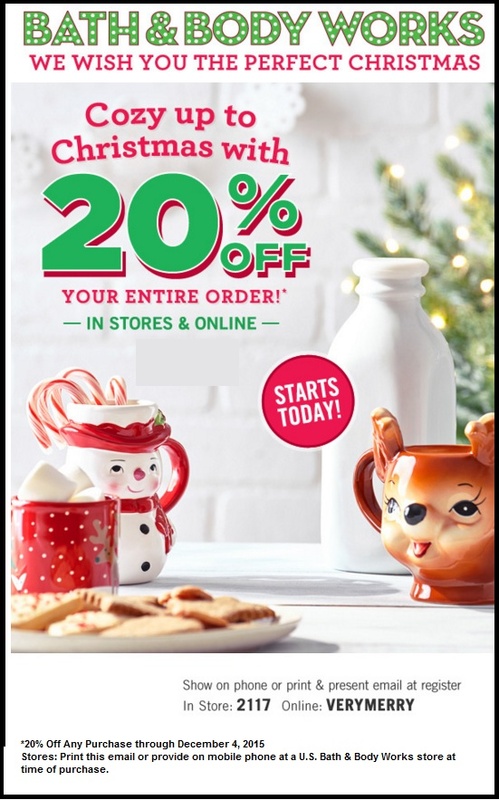 Register to receive their email updates and get exclusive printable coupons via email, you will also be the first to hear about their in store specials and events.